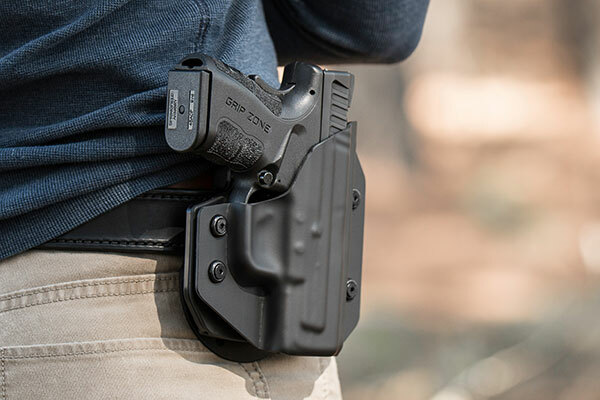 If you have purchased or are planning to purchase a Dan Wesson 1911 Guardian (4.25-inch barrel), you are going to want an inside the waistband (IWB) or outside the waistband (OWB) concealed carry holster from Alien Gear Holsters. 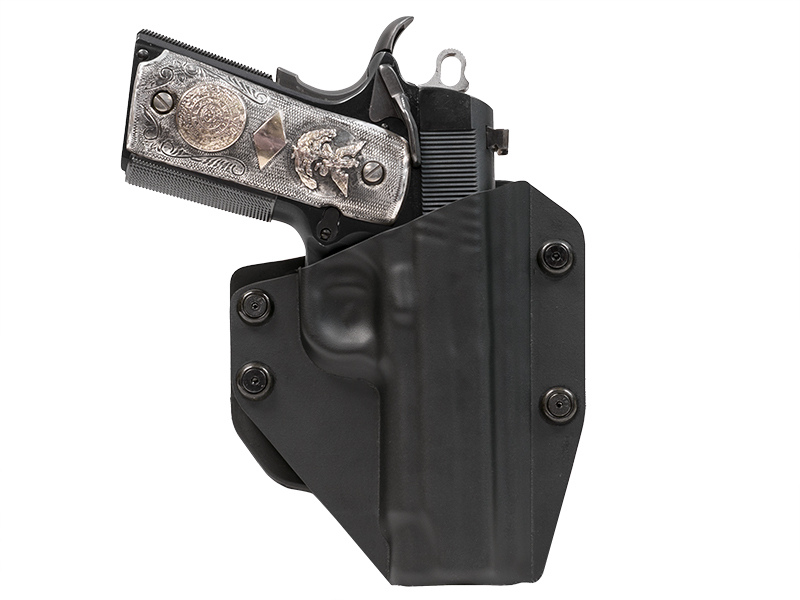 We have the best selection of high-quality CCW holsters in the business to choose from. 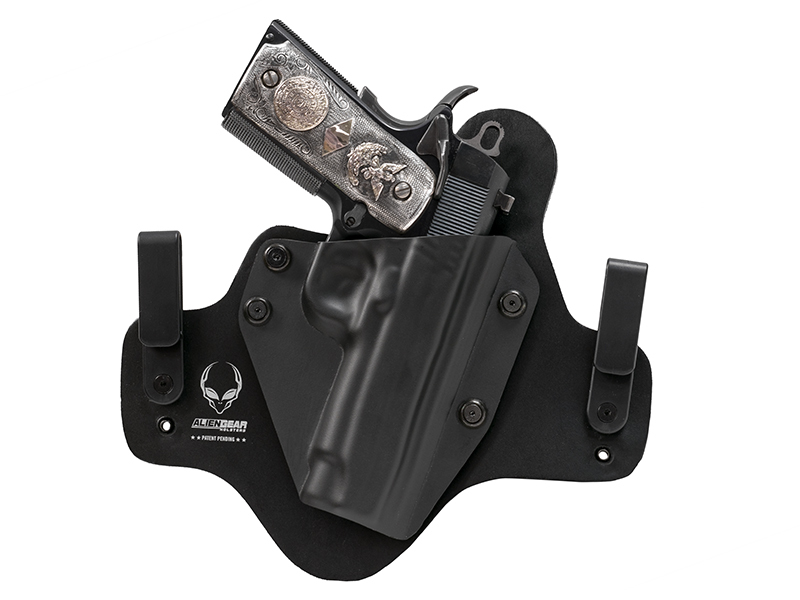 Holster customization and adjustability are Alien Gear Holster trademarks. 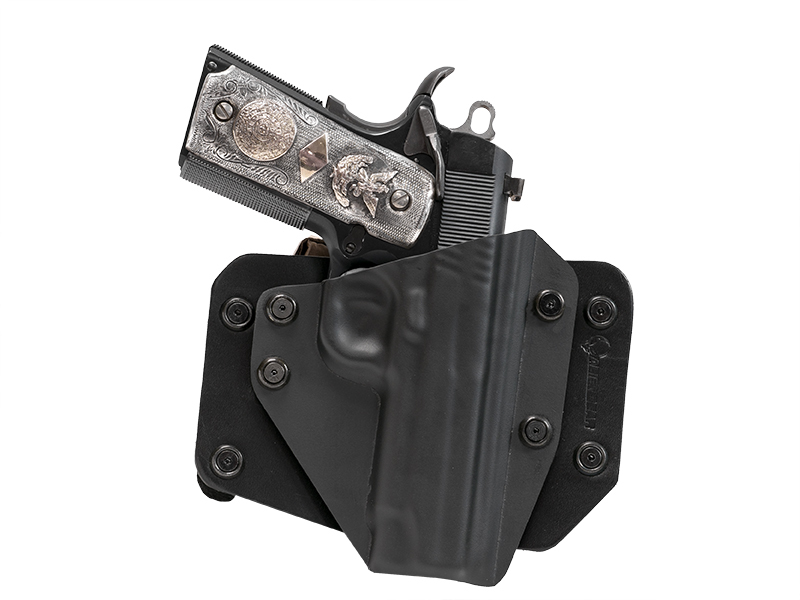 Each of our 1911 Guardian holsters is adjustable for ride height with our popular “J clips” and “C clips” that offer comfort and concealability. The tilt angle can be adjusted up to 15 degrees up or down with a few turns of a couple of hex screws as well, making for a comfortable draw. In much the same way, you can set the retention pressure that you feel most confident with. Simply adjust the retention plate tighter for a more secure hold or a little looser for a faster draw. The focus is on you and your shooting style. Prefer to IWB concealed carry your Dan Wesson 1911 Guardian? 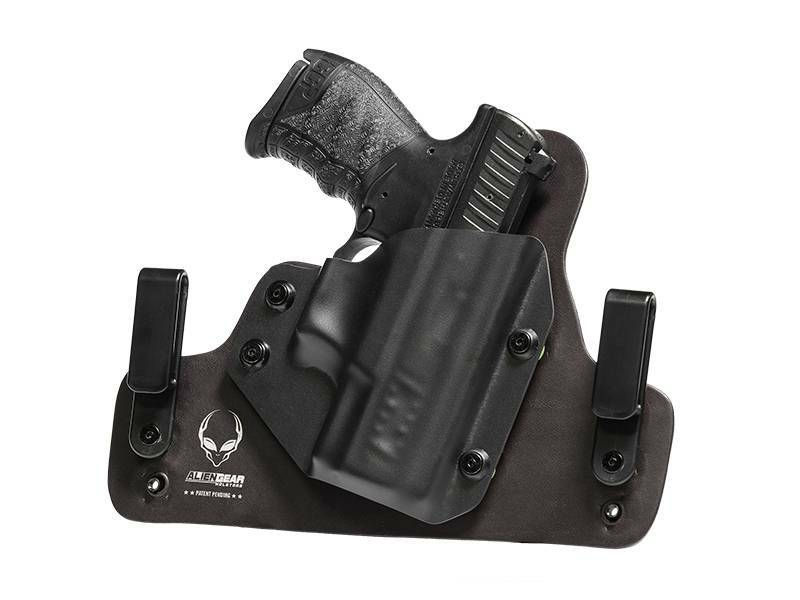 Alien Gear has two great holsters to choose from. Our original Cloak Tuck IWB is a traditional heavy duty leather model that comes in natural tan or black drum-dyed colors. The strong but flexible leather material conforms to your waist providing a comfortable and durable fit suitable for everyday concealed carry. 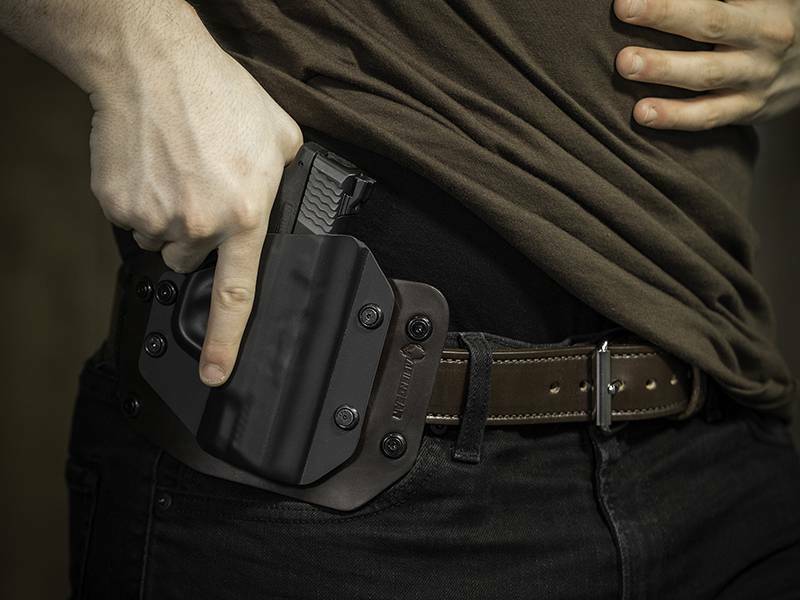 The Cloak Tuck 3.0 is our more advanced IWB Tuck model that is full of space-age innovation. The 3.0 has a core made with layers of stainless spring steel and tactical nylon. Together, these materials provide a secure and adjustable grip for your 1911 Guardian. You get the security of a faster, smoother draw and re-holstering action. Our custom rubber “Alien Skin” technology ensures friction-free retention and provides a waterproof barrier protecting you and your Dan Wesson in wet conditions. 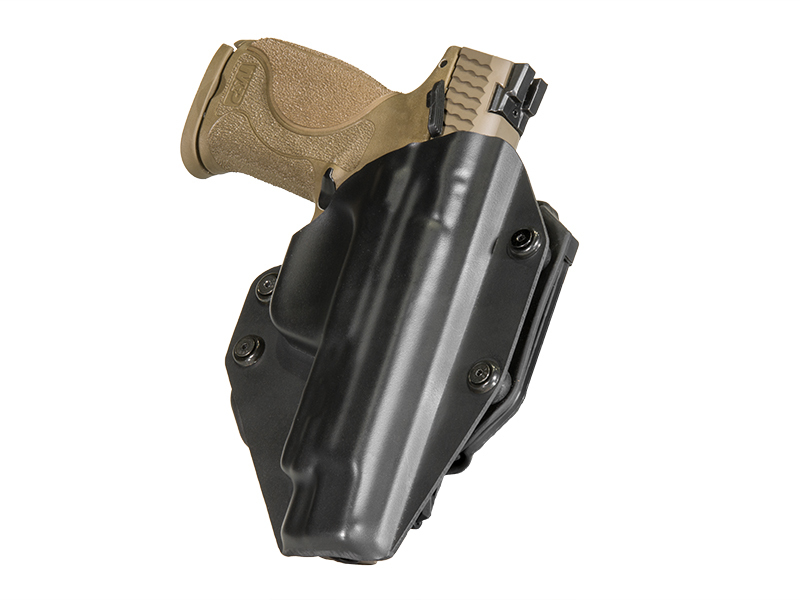 We are confident that you will love this IWB holster. 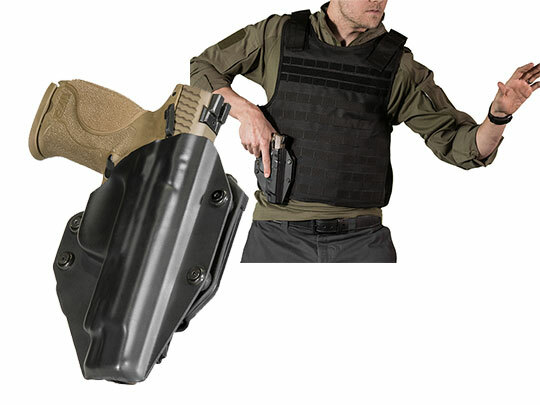 If you intend to carry outside the waistband, Alien Gear has two great holsters to choose from. Our Cloak Slide is a classic leather belt slide OWB holster that has a traditional look and offers exceptional comfort. It is available in black or natural drum-dyed colors. A more versatile OWB is our Cloak Mod Paddle Holster. 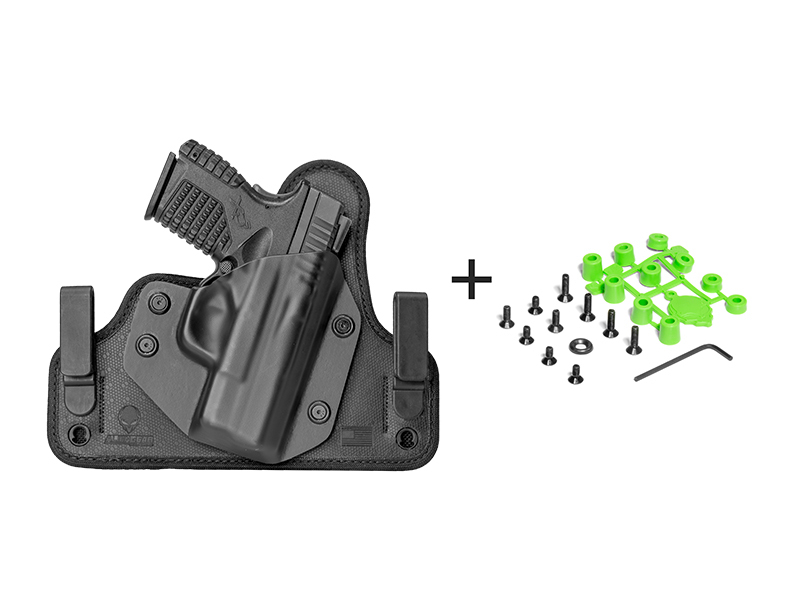 This modular holster converts from a paddle holster configuration to a belt slide OWB quickly and easily by turning a couple of hex screws (hex wrench included in your parts package). You have the power to decide how you wish to OWB concealed carry your Dan Wesson 1911 Guardian with this awesome Alien Gear Holster. All Alien Gear holster shells are custom molded to precisely fit your particular 1911 model handgun, and every holster comes with our Iron-Clad Triple Guarantee. You get our Forever Warranty, Free Retention Shell Trade, and a 30-Day Test Drive. You can buy Alien Gear with confidence knowing that all of our products are 100% made right here in America.